Sit in on a Virtual Peer Group meeting. 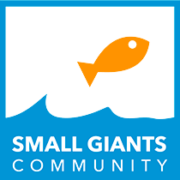 Be a fly on the wall in an upcoming Small Giants Community Virtual Peer Group meeting to try out the format before you join. Complete the form below and tell us a little bit about you. We'll reach out to set up your trial meeting and answer any questions you have about the program.